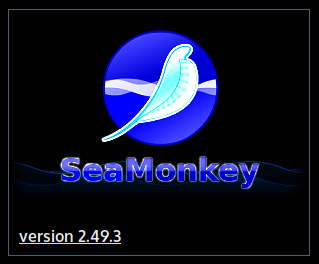 SeaMonkey 2.49.3 has been released !!! This should only affect Windows 10, if I read this correctly. Discussion and tracking bugs on 2.49.4 are ongoing already. Luv it... 2.49.3 feels faster than 2 and works well with my extended library of extensions. Much thanks for a job well done. Yeaaah ! 2.49.3 is so different, fast and exciting compared to 2.49.2 that it's hard to believe it's the same browser !!! I'm kidding, it's just the same. The sameness is the best part! LewS wrote: The sameness is the best part! I think so, change for change sake is vastly overrated. Although I do confess to be greatly excited by the 'SyntaxError when creating literal RegExp in eval' bug being fixed. - https://bugzilla.mozilla.org/show_bug.cgi?id=1452619 A real game changer, if ever I saw one. > Although I do confess to be greatly excited by the 'SyntaxError when creating literal RegExp in eval' bug being fixed. Will be in 2.49.4. Building starts soon. frg wrote: > Although I do confess to be greatly excited by the 'SyntaxError when creating literal RegExp in eval' bug being fixed. I just installed this, and now I get all blank pages on Facebook! Arghh! The last version was fine! Just found out that I HAVE to advertise FF compatibility with this version, or NO Facebook! And FF compatibility has caused me OTHER problems in the past. My Amazon-Chase card login is no longer accepted with Seamonkey, as of a couple of weeks ago. So it looks like this browser is toast and I've gotta find out how to transfer bookmarks and passwords to FF. Melissa, I don't have any trouble with Facebook. I had problems with Chase so now I just access Chase using Internet Explorer. The thought of abandoning wonderful SeaMonkey is not remotely being considered. Not seeing any problems using Facebook in SeaMonkey 2.49.3. Melissa, have you tried clearing the cache or running SeaMonkey in Mozilla Safe Mode (only for testing, not permanently) to see if that resolves things? Melissa2009B wrote: I just installed this, and now I get all blank pages on Facebook! Arghh! The only difference now is that instead of posting in SeaMonkey Support that we are now seeing the old Ethel Merman technique of finding the latest Release thread and posting a 'This version doesn't work and btw everything's coming up roses!!!!! '....knowing damn well that is going to attract more attention. I suggest you just start a thread on SeaMonkey Support...and also the Chase stuff can be found by using Search. Alternatively, start a thread in Firefox Support, where I'm sure they'd be delighted to advise you how to move your bookmarks, etc over to that gem, that is Firefox.